Desc: 14 kt. 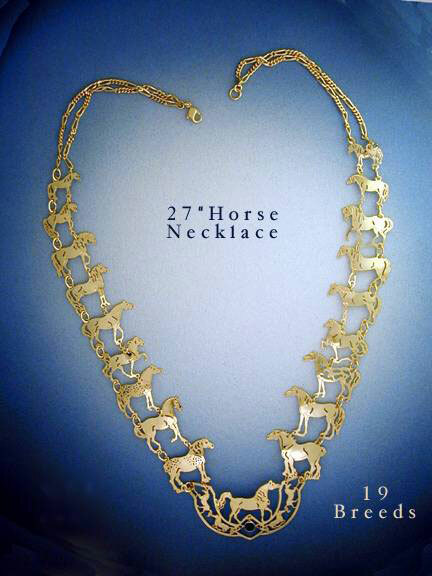 gold plated necklace representing nineteen horse breeds with excellent detail. The clasp is a heavy duty lobster claw style. A green crystal is mounted at the front of the necklace. Also available in Rhodium plating (contact us for details).